How many Misses Smith have there been in this world? It is a common name, but this Miss Smith created a thing of great beauty--a book of botanical art. We know almost nothing about Miss Smith. The very ordinariness of her name precludes us from tracing her. 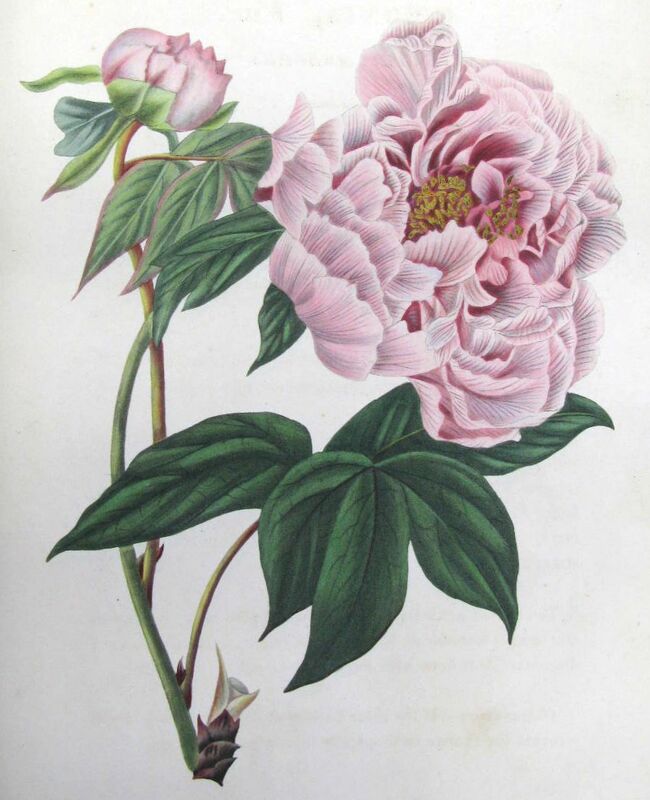 There was a Miss J. Smith who did botanical work in the 1790's--she might or might not be the same woman. 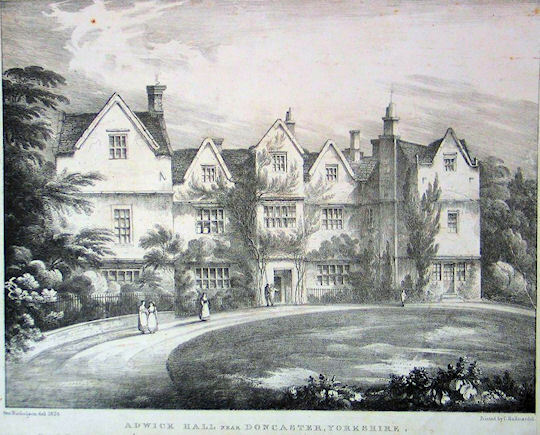 Miss Smith's home, Adwick Hall, had been the residence of the Washington family in the 16th and 17th centuries. It was demolished in the early 19th century, presumably not too long after Miss Smith published her book. We do know that Miss Smith had artistic talent. 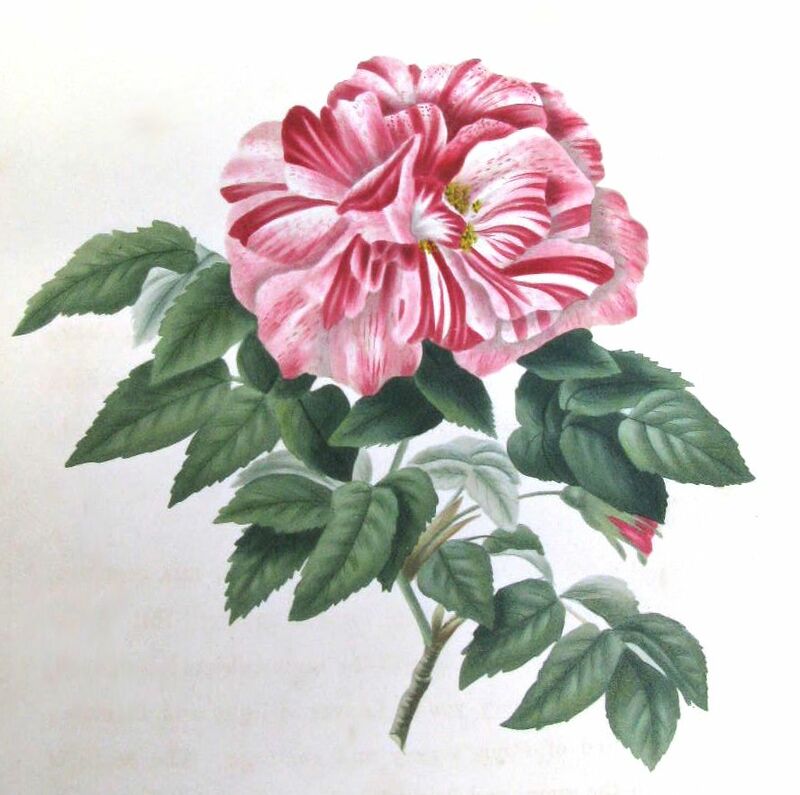 And in 1817, she decided to publish a book of flower studies. But it was not just a pretty book, it was also a useful book. It contained not only the finished plates of Miss Smith's flower illustrations, but outline plates as well, which the purchaser could colour. Smith included directions on preparing colours, and their best use, as well as general drawing instruction. It was, essentially, a teaching manual. 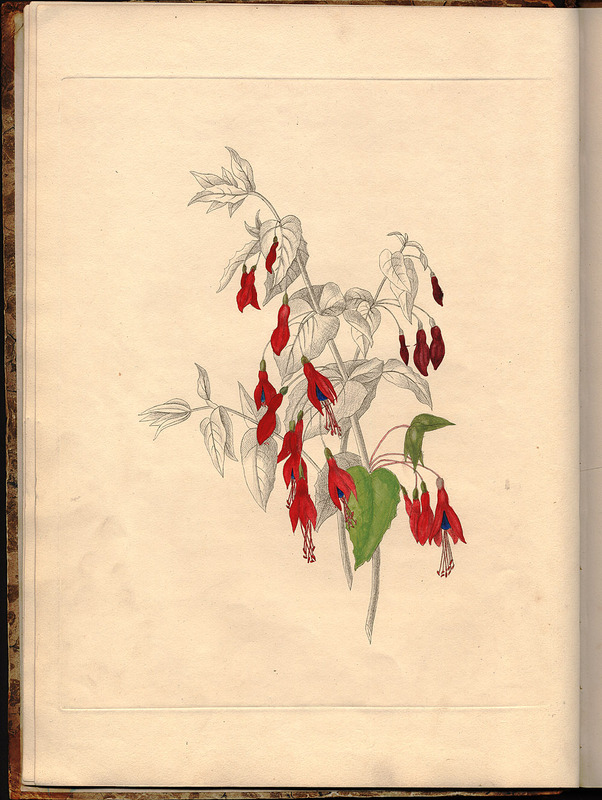 The illustration of fuschia below shows an outline partly coloured. The flowers Miss Smith illustrated were, she states, from the 'botanic garden of Mr. W. Crowder of Doncaster'. (In 1834, Henry and Michael Crowder of Thorn road, Doncaster were listed in the Pigot's Directory as nursery and seedsmen.) Mr. Crowder was growing some very fine specimens, as evidenced by Miss Smith's art. Miss Smith self-published her book. This was a common practice at the time. Publishers were few, and the monetary returns from publication by them were small. Many authors published a prospectus and collected subscriptions to pay for their own publication. It appears that about 100 people subscribed to Miss Smith's book. Mr. Ackermann (of Repository of Arts fame) ordered ten copies! 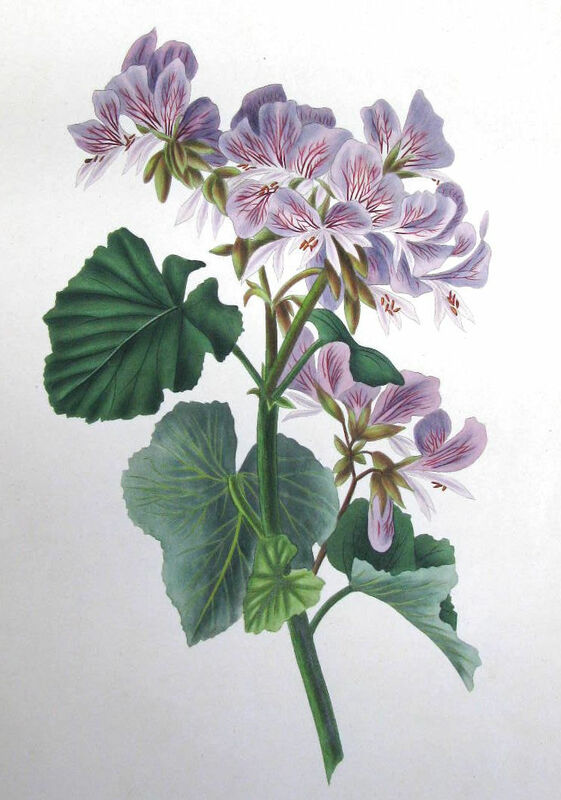 A complete copy of Studies of Flowers from Nature could be had for five guineas. But it could also be purchased in parts, as the Literary Gazette above states--in 'ten monthly numbers'. Blackwood's Edinburgh Magazine for May 1818 lists publication of the first part at a price of 10s.6d. Miss Smith's Studies of Flowers from Nature was dedicated to 'her Royal Highness the Princess Elizabeth', a sister of the Prince Regent. The princess was an amateur artist who assiduously applied herself to her craft. Royal sponsorship of such a publication was not uncommon. Miss Smith's Studies was only one of a genre of floral copybooks which was fashionable and popular in the early 19th century. Very few of them have survived; they may have been discarded after their owners completed their own colouring. A copy of Studies sold at Christie's some ten years ago for over $2000. Spring is very late coming here to western Canada. Miss Smith's beautiful drawings have brightened some very cold days for me. My own garden is still under snow, but Miss Smith has given me hope! I love these books. I have several old flower books in my library. I keep telling myself, I'm going to take them apart and find frames for the prettiest of the pics and hang them in my kitchen. I have bought and sold a lot of botanical prints but have never come across Miss Smith. These are very nice so thanks for sharing them, Lesley Anne. Anne - please don't break up any volumes of flower prints. They are becoming too scarce already because of this. You can easily buy prints on eBay and it's fun. I am sorry if I have offended you.